Book your apartment at Saha Eminence and cherish the luxury! Home enthusiasts willing to buy a luxurious apartment in Noida have a lovely opportunity to live up to their housing dreams. 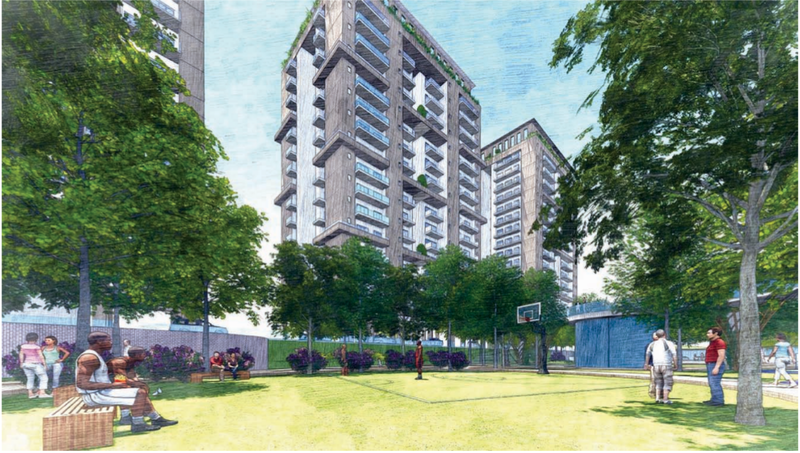 Have a look at Saha Eminence, the sophisticated residential complex that has come up in Sector 150 of Noida. Elegant residential spaces, coupled with the availability of all the necessary amenities, make it the ideal hub for luxury-seekers. Noida is one of the emerging commercial centres of the country. A large number of blue-chip and MNCs are expanding in the area. In the last few years, Noida has witnessed a phenomenal growth in roadways, transportation system and security facilities. Hundreds of families have already moved to Noida, due to the location advantage. 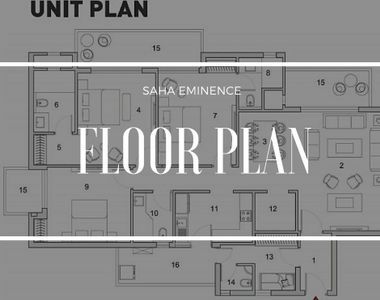 If you crave for a luxurious apartment, with all the features you crave for, Saha Eminence brings you the perfect abode. The prices of property in Noida have been increasing in recent years. If you are willing to invest in Saha Eminence Noida, this is the best time for you. The returns on sale for these properties are high. It is for this reason, that investors are keen on acquiring the apartments. A sophisticated living infrastructure awaits the residents. The spacious rooms come well-integrated with polished walls and floors. The wide balconies and large windows ensure optimum ventilation in the room. The total area spans 8,000 Sq. Mts., out of which 32% has green cover. You can enjoy your time in the landscaped gardens and walkways in the complex. 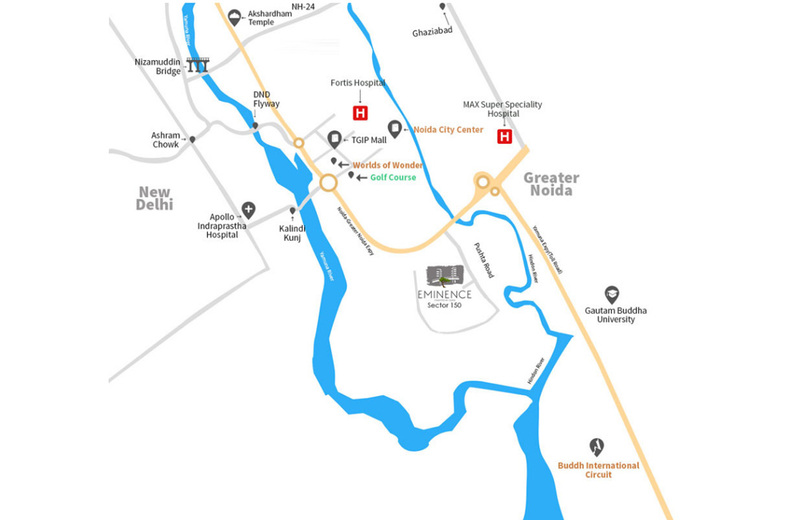 Sector 150 of Noida is known for its centralised location. It is well-connected with all the important places around, including the commercial hubs. A number of restaurants, shopping malls and multiplexes are located close to the residential complex. Apart from this, you will have easy access to several places of entertainment. The educational and healthcare infrastructure around the area is well-developed. A number of schools, colleges, universities and hospitals are located in close proximity to the estate. You will be able to reach these zones easily, through the well-developed communication system. The housing complex comes with dedicated car parking spaces, and special arrangements for the vehicles of visitors. Apart from this, the design of the building complies with the Vaastu norms. An intelligent floor planning has led to vast open public spaces in the complex. The estate also comes with special facilities for pet lovers. You will have access to the pet grooming area, where you can train up your pets. The important amenities in the residential complex consist of swimming pool, gym and yoga centre. Health enthusiasts have a lot of facilities to enjoy. Besides, it comes with dedicated driver’s room, jogging tracks and uninterrupted power and water supply. You can spend quality time, playing various indoor and outdoor games inside the complex. Book-lovers can enjoy their time in the library and reading space. Well, you may book an apartment for yourself in the residential complex now. The Saha Eminence price is rising, and investors can strike a good deal for commercial use. Homeowners will love the spacious apartments with the best grades of infrastructure and amenities.